If your breaker is frequently tripping, the likeliest cause is an overloaded circuit. This occurs anytime a circuit is forced to deal with more electricity than it is rated to handle. There are several reasons that this could be happening. If the wiring is old enough, it may not be able to handle modern appliances that consume relatively large amounts of electricity on short notice (microwave ovens are guilty of this). But the most likely explanation is that you’ve plugged too many electrical appliances to the same outlet via multi-socket adapters or extension cords. Bear in mind that overloaded circuits are more than a source of inconvenience. They’re downright dangerous, as they can even lead to overheating and house fires. To correct an overloaded circuit, start by looking into moving certain appliances to different power outlets in order to redistribute the load. If it’s important that all of the appliances remain plugged in where they are, then you’ll need to call out Current Electrical Service for some rewiring. There’s a quirk to the way that electricity flows through a circuit: it will always take the path of least resistance. As a circuit degrades (whether due to age, the elements or something else), it come to a point at which the current may detect an unintended shortcut. Essentially, it finds a way out that offers less resistance than the circuit itself. Once the current opts out of the originally intended path, all bets are off. Appliances may quit working or behave abnormally. This renegade current can also cause unexpected arcs, overheating and other hazards, so it needs to be dealt with immediately. The problem comes down to determining whether the short is located in an appliance or in the house’s wiring. In either case, you’ll want to have a qualified electrician out to determine where the problem lies. To be fair, an earth fault technically falls under the short circuit category. But it’s a specific type of short that comes with its own unique causes and fixes. It occurs when a live electrical wire touches a earth wire, thereby giving the current an easier avenue to freedom (back to the path of least resistance). It can also happen when a live wire touches an earthed object. Usually, some sort of physical jarring or interference needs to happen for an earth fault to develop. For example, if a foreign object is jammed into an electrical socket, this could cause an earth fault. On a side note, you may detect an earth fault if you experience a mild, tingling shock when you touch an appliance. This should be treated as an urgent problem, so call your electrician as soon as you suspect you have an earth fault. If you have problems with faulty wiring, it’s always better to have it looked at as soon as possible. 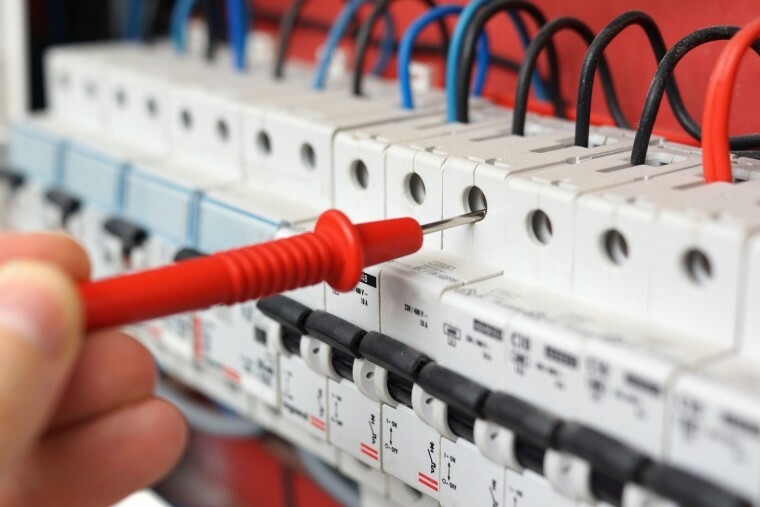 So if your circuits are tripping frequently, contact Current Electrical Service for assistance.